"The Big Leagues" "The Big Show"
Major League Baseball is the very top level or skill class for playing the game of baseball this is baseballfarming cream of the crop gathered from those Field Of Dreams. This is the place in baseball which every school boy or baseball player has dreamed about while growing and playing in his Field of Dreams. The 30 Major League teams currently standing for play here in the United States Of America have in many cases worn well the passing of time while welcoming the many changes in play as well as foe. Major League Baseball maintains a unique, controlling relationship over the sport, baseballfarming including most aspects of Minor League Baseball. This is due in large part to a 1922 U.S. Supreme Court ruling in Federal Baseball Club v. National League, which held that baseball is not interstate commerce and therefore not subject to federal antitrust law. This ruling has been weakened only slightly in subsequent years. If you used such terms as The Big Show, The Majors or The Big Leagues, every school boy across America would without hesitation, know exactly what you were referring to. The game of baseball combines over 100 years of history filled with facts, figures, stories, truths, myths, and untold dreams, most of which have been reported and chronicled without end. It May be true build it and they will come "Field Of Dreams." Would you believe more than three billion? It took 75 years to reach the first billion fans, in 1976. Fans along the way to that milestone saw Ty Cobb compile a .366 career average, Lou Gehrig play in 2,130 consecutive games, Jackie Robinson break the color barrier, Ted Williams hitting.406, becoming, thus far, the last player to bat over .400 for an entire season, the first West Coast games in 1958, Eddie Gaedel's walk, Enos Slaughter's Mad Dash, Joe DiMaggio's 56-game hitting streak, Babe Ruth's 714 home runs and Hank Aaron's 755. It took 21 years after that to reach two billion, in 1997. Fans along the way to that milestone saw Ozzie Smith's backflips, the first night game at Wrigley Field, Disco Demolition Night at old Comiskey, Nolan Ryan's seventh no-hitter, and Cal Ripken's 2,131st consecutive game on the way to 2,632. It took only 13 years to make it three billion. Fans along the way to that milestone saw Tony Gwynn's 3,000th hit, Barry Bonds' 762nd homer, Ichiro Suzuki's 10 consecutive 200-hit seasons, Jose Bautista's 53 homers so far, and a fabulous view courtesy of so many new retro-traditional ballparks. An example of some reports and recording of history is the lineage of the Major league Baseball Comissioners holding that position since formal appointment dating from 1920. The average baseball salary and the minimum salary as compiled by the Major League Baseball Players Association. Folks, that is a lot of Ka-Ching and getting paid to do something you loved while you were growing in your Field Of Dreams. The data depicted above gives one a small taste of what really constitutes what we now know as Major League Baseball. We can, now in this modern day of rapid fire mass media communications, fully realize that play for pay Major League Baseball is a reality. The establishment of records depicting the salary and pay scale associated with the professional players of the game lead us to this conclusion. The hype, the fan following and the need for total organization is a business of playing for pay necessitating a controlling faction which is embodied in the office of the Major League Baseball Commissioner. Step back into history with me for a few paces and learn some of the genisis of how America's national pastime originated. Amateur baseball clubs dominated the scenes up until the mid-1860s. Thousands of amateur baseball clubs dotted our young and growing country into the later part of the 1860s. The year 1869 saw the dawning of what is now professional baseball. This spark fueled the rise of baseball to a level unknown, at that time, by any other sport in America. The birth of professional baseball teams and baseballfarming saw the game flourish and grow in "A Field Of Dreams." In 1869 one club took the leadership, the Cincinnati Red Stockings, by paying the players to suit up. Up until that time, players supposedly were competing for the pure joy of the game. The Cincinnati Red Stockings recruited the best players available around the country and paid them between $600 and $1,400 for the season. The man behind this start-up play for pay and who organized the competition of play was Harry Wright, a pitcher, outfielder and the team's manager. The resultant impact could be seen and witnessed almost immediately. The Red Stockings dominated teams from Cincinnati to Philadelphia,New York, Washington D.C.and back again winning upwards of more than 80 straight victories. Brooklyn pitted its finest against this juggernaught in 1870 and defeated the unbeaten Red Stockings 8-7. Call the game what you will but in the annals of baseball this ranks as one of the greatest games ever played. It brought the mighty Red Stockings out of the clouds making a massive impact propelling the game of baseball into the hearts and minds of the fans. Baseball teams, in cities all over, impressed by the Red Stockings' success, began to feverishly round up the best players available to try to compete. In 1871, ball players formed the National Association of Professional Base Ball Players. This formative group would eventually be replaced in name by becoming the National League. Red Stockings to National Association of Professional Base Ball Players to National League---Eureka "Major League Baseball." By 1900 the America League came into existance as an up-start challenge to the National League. The minor Western League under the leadership of its president Ban Johnson in 1900 declared itself to be a "major league" and to be renamed the American League and fielded eight (8) clubs do battle on the diamonds as professional major league teams. The National League like it or not had to contend with these johnny come lately up-starts the "American League." Contend they did so toe to toe for now over these 100 years beginning in 1903 the two Major Leagues of Baseball the National and American Leagues have gone at it culminating season play with a World Series clash. Since 1903 the world has witnessed the modern day game of baseball in a swashbuckling give no ground World Series pitting the National League against the American League in Major League Baseballs World Series..
Good people this is our Major League Baseball. Two separate and distinct leagues but always playing under the Banner of Major League Baseball. The separate but distinct leagues of the major leagues has from day one kept the habit of promoting their own separate baseball major league rules and major league baseball playoff rules. Each and every year it appears they find more reasons to join forces and to agree to common rules applying equally to both legues. The day is fast approaching that the hatchet of discord will give way to common shared and agreed upon rules for baseball pertaining to both leagues in total unison and agreement on all the rules. Starting in the first dawn of the 20th Century, we have the old National League and the new American League fully outfitted as our todays "Major League Baseball." Harry Wright, with the foresight to visualize the impact of organizing a team, the Red Stockings, and paying to play propelled the game forward like a run-a-way Steam Locomotive. So you might say Mr Wright was an impact player. Denton True Young was the heart and soul and the impact players of the new American League placed into the fray by 1900. You may have been side tracked momentarily by the use of the full name for Mr. Young but he was none other than the young unasumming pitcher now known world wide as one of the finest hurlers of all time, "Cy" Young. As we ramble through the pages of time giving some highlights o significant events by year we will touch on some of the changes of baseball playing rules and professional baseball rules. "Would you like to fill your cup of knowledge with over 100 years of Major League Baseball?" YEAR OF PLAY DEPICTING SOME SIGNIFICANT EVENTS OR PLAYER. 1900--Home plate was changed from a 12-inch square to a five sided shape 17-inches wide. 1901--NL average runs per game plummeted when rules changed foul balls as strikes. AL Nap Lajoie won the AL's Triple Crown and Dummy Hoy paced the AL with 86 bases on balls and tallied a third-best 113 runs. *footnote is in order here---Dummy Hoy played baseball as a Deaf/Mute and was instrumental in having rules wherby umpires give hand signals for their calls. 1902--NL adopted a rule that foul bunts would be called as strikes. The Pittsburgh Pirates was the NL dominating team winning the pennant by 27 1/2 games led the league in runs by 142 and in runs allowed by 65. The AL Philadelphia Athletics slugger Sock Seybold hit 16 homers which was two more than the entire White Sox team. This league number for homers stood as the AL record until broken by Babe Ruth in 1919. 1903--NL was enjoying unprecedented crowds especially the Giants at the Polo grounds. The senior circuit NL of baseball realized they must bury the fueding hatchett to live and let live. The two Leagues the NL-Al agreed to a postseason series. The NL and Al champions it was agreed would meet in a nine game best-of-nine competition at the seasons end. The AL also adopted the foul-strike rule like the NL. The Boston Americans of the AL led by their ace pitcher "CY" Young won the AL pennant. The first modern day World Series of 1903 pitted the NL Pittsburgh Pirates led by their slugging hero Honus Wagner against the AL Boston Americans. WHO WON THIS INAUGURAL OR MODERN DAY WORLD SERIES ? The Junior circuit AL won the best-of-nine series,five games to three, after losing three of the first four games. 1904--NL Teams were required to play a 154 game schedule. 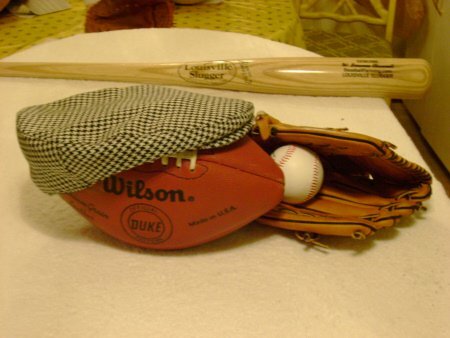 Home teams required to provide more than one baseball for each game. Clubs required to wear different uniforms for home and road games. Outfield fences had to be at least 235 feet from home plate. New York Giants won the NL pennant but refused to play the World Series against Boston of the AL. Giants management called the Boston Americans of the Junior Circuit "bush." AL had the Senators. "First in War, First in Peace, Last in the American League." The Chicago, New York and Boston teams enjoyed huge crowds as the new league's first real pennant race set the sports world on fire with excitement of the competition. The "obstinate" "haughty" New York Giants, probably afraid of losing, refused to agree to play in the World Series, This would be the only season without postseason baseball until 1994. 1905--New York Giants won the World series beating the Philadelphia Athletics 4 games to 1. Christy Mathewson won 30 or more games for the Giants and his third season in a row. He hurled three shutout games in the World Series. Ironically all five games of the series were shutouts. 1906--Chicago White Sox won the World Series 4 games to 2 over the Chicago Cubs. First one city World Series. Sox winning in a huge upset. Three Finger Brown led the Cubs to 116 wins pitching more than 250 innings and a 1.04 ERA. the Cubs claimed one of the tighest infields with Chance at first and the immortal double-play tandem of Joe Tinker and Johnny Evers. Thus the refrain of "Tinker to Evers to Chance" was real and will always be remembered by true baseball fans. 1907--Chicago Cubs beat the Detroit Tigers 4 games to zip for the World Series. The "Year Of Cobb" 1907 is the year Cobb started his great run toward greatness, however, the World Series is won by the Chicago Cubs. Cobb wins his first batting crown with a .350 average and the steals crown with 49 stolen sacks. Over in Washington D.C. Walter Johnson also debuts with the Senators. 1907 marks the beginning of two of the greats of Baseball. 1908--Cubs win the World Series-their last post season triumph. Detroit Tigers won the Al pennant by a half-game,this half-game margin is the smallest margin in all the history of the AL and the NL. Fred Merkle's costly mistake denied Giants the NL pennant. At the Polo Grounds in New York on September the 23rd bottom of the ninth score tied 1-1 Fred Merkle on first and Moose McCormick on third with two (2) outs. Al Birdwell of the Giants singled to center in theory the game would have been won with McCormick coming home from third but Fred Merkle thinking the game was won cut short his movement to second and headed to the dug out. Johnny Evers the astute second baseman of the Cubs tagged the second sack with a baseball and the Umpire called Merkle out. McCormicks run was voided and all hell broke loose. Final outcome the NL president Harry Pulliam ruled that the game would be replayed at the end of the season if needed to determine the pennant action. Ironically the game was needed to determine the final pennant chase between Cubs the Giants and the Pirates. Three fingers Brown and the Cubs won the make-up game and finished the season with a 99-55 record, 1 game ahead of the Giants and the Pirates both at 98-56. What a story ! what an ending to a baseball season and the pennant chase of the NL for 1908. 1909--The Al Detroit Tigers won their third straight AL pennant but the Pittsburgh Pirates with the NL flag proved too much for the Ty Cobb led Tigers. The 1909 World Series would be the last for the Tigers until 1935. It was the last ever series for both Ty Cobb of the Tigers and Honus Wagner of the Pirtes two of baseball's all time greats. 1909 saw the first of steel-and-concrete ballparks. Shibe Park in Philadelphia and Forbes field in Pittsburgh. Shibe Park the pride of Connie Mack's design features and later copied for Rickwood Field in Birmingham, Alabama. Incidentally Rickwood Field in Birmingham still proudly stands as the oldest useable baseball ball park in our nation. 1910--Both the National and the American League introduced a new cork centered baseball. Christy Mathewson of the New York Giants had another sensational season while Mordecai Brown over in Chicago set a record of 13 saves for the season. Mathewson and "Three fingers Brown" took back seat during the season to the amazing rookie Grover Clevaland Alexander with Philadelphia with the most spectacular debut ever a rookie when this righty posted a 28-13 record. June 28th of 1910 the Giants of Gotham moved into their brand new stadium at the Polo Grounds. The Gotham fans were also rewarded with the Giants winning the National League Pennant Flag. If Mudville fans took a beating when their mighty Casey failed at bat the Giants fans saw their Giants fall to Philadelphia in the World Series if five during 1910. "FAST FORWARD NOW AND WE PICK IT UP AGAIN IN 2010"
"The ESPN Baseball Encyclopedia is a most enlitghtening source to gather all the rich history of these Major League Baseball history and highlights of play spanning 100 years of baseball"
2010--Free Agency Changes: MLB, MLBPA agree to free agency changes. • Players will no longer have to file for free agency; it will be an automatic process. • Free agents will now be able to negotiate with any team on midnight ET of the fifth day after the World Series, rather than 15 days after, as it had been previously. • Arbitration must be offered by midnight on Nov. 23 if a club wants to keep its right to Draft-pick compensation. The previous deadline was Dec. 1. And free agents must accept by Nov. 30, as opposed to Dec. 7. • Clubs must tender contracts by Dec. 2, nine days earlier than the previous deadline. Just as New York, the city that never sleeps, has many major league baseball stories you to have a baseballfarming story you could tell. Visit our Baseball Show And Tell page. Click here at the Major League Baseball button and get aboard with your shared story and become true baseball fan. 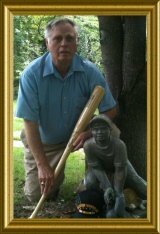 Come visit you will enjoy our talk about baseball Major League Baseball was a welcomed uplift for the people of this country during the early 20th century. Baseball our Game and America our Country grew up together, truly, in " A Field Of Dreams." SOME FOOD FOR THOUGHT----ARE ALL LEADERS GOOD? Have you ever had the itch to have your own Web Site? Solo Build It! Go Shopping Save MoneyShop From Baseballfarming Become Our Friend. GET THE BEST Matching Major League Baseball QUALITY MAPLE BASEBALL BAT FOR YOUR TEAM WHICH YOU KNOW IS "JUST RIGHT" PRODUCED BY ANNEX BASEBALL.